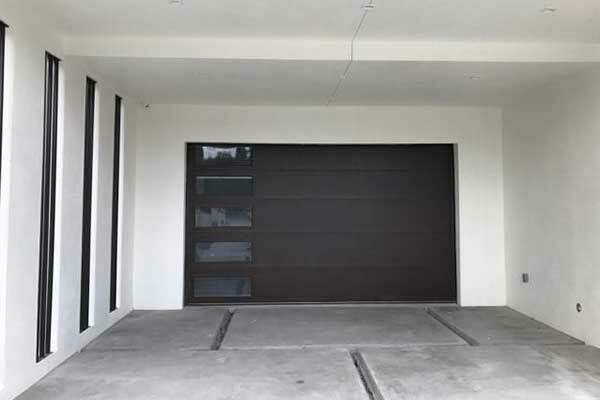 Every automatic garage door owner will eventually run into some problems. Unfortunately, that seems to be unavoidable. However, there are things that can be done to prevent most issues. Proper maintenance, including spring adjustment and lubrication and track cleaning and realignment, will help you reduce the wear and tear your overhead door experiences. Still, some problems will come to plague your door after enough time goes by. When that happens, Garage Door Repair Humble will be ready and willing to help. So you're trying to open the door but you find that it's not moving all the way how it's supposed to, huh? Well, that could be the result of a few different issues. The opener travel limit switch may be adjusted incorrectly and doesn't allow the door to move all the way up. The tracks may be blocked or bent near the end, preventing the rollers from moving through all the way. 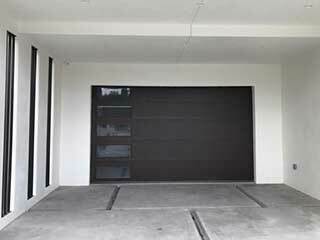 Maybe your garage door springs are loose, and don't have enough tension to ensure the door goes up fully. Whatever the problem, Garage Door Repair Humble will find the solution. If your automatic overhead door doesn't move at all when you try to open it, but you can move it manually, then the opener is having some problem. The motor gears could be worn or damaged, and the garage door opener is unable to produce the necessary horsepower. The circuit board could be having a wiring issue, causing it to not process the orders correctly. Even the drive system could be the source of the problem. Chain drive openers can be slack, and the chains can break even and thus render them inoperable. The same goes for belt drive models. Leave it to Garage Door Repair Humble to carry out the opener troubleshooting and fix whatever's causing the issue. If you know a spring broke, or you suspect it's getting worn or loose, do not try to perform any DIY repairs. Garage door springs can be really dangerous to handle, due to the tension they are under. Mishandling springs can cause them to whip and snap, and will injure anyone nearby. Leave all broken spring repairs or adjustments to professionals and don't put yourself or your family members at risk. So your overhead door is getting too old and you want to get a new one. Well, good news. Garage Door Repair Humble has a range of high end models to offer you, made by the industry's leading brands like Clopay, Raynor, and Windsor. Get a free estimate on a new garage door and ask us all your questions. From faux wood exterior and a sturdy steel interior to real wood and even aluminum garage door panels. All options are available, with prices that won't have you reaching for the nearest piggybank. Whether it's Sunday morning or any other day of the week, Garage Door Repair Humble is ready to come to your aid. Get in touch with us whenever you experience a problem and get a fast response and an affordable and effective solution that same day.